How To Launch An E-Design Business | Announcements & Updates! Hey e-designer friends (or those of you who are thinking about diving into that world 😉), today's post is for YOU! I've got some exciting things going on in the Mix & Match Education world and wanted to share all the good stuff right here on the blog so it would be all in one place. If you're not in the design world, feel free to skip this post - we'll be back to our regular content on Friday! 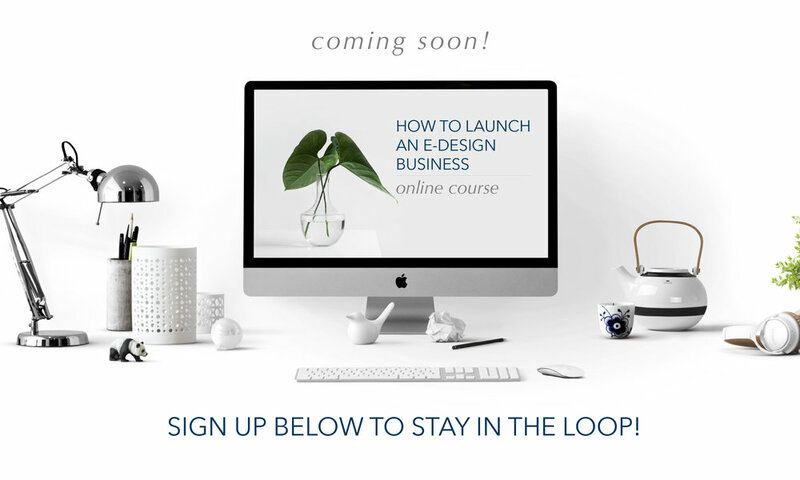 First of all, my online course, How To Launch An E-Design Business, reopens for enrollment on June 4th (next Monday)! When it opened for the first time back in February, I had a wonderful group of students join in and I'm so excited for this next one! I only open this course a few times a year, so if you're interested in starting your own online interior design business, this might be the perfect time for you to check it out and sign up. Now you may be asking, what is this course all about? Well, here's the quick rundown: How To Launch An E-Design Business will teach you about the world of e-design, help you figure out your business model, talk about how to get clients in the door, walk you step-by-step through an e-design project, and give you the tools you need to carry out client projects and run your business smoothly and efficiently. It's a quick-start guide to getting your business up and running! The course is self-paced, so once you sign up, it's yours to complete on your own timeframe. There are pre-recorded videos to watch, a workbook to go through, a resource guide that includes links to my favorite tools and sites, and a whole lot of extra goodies. I even have a bonus video for you that teaches the basics of how to make a design board in Photoshop. If listening is more your style, you can hear more about the course and the e-design world in general on A Well Designed Business podcast. I had a chance to chat with LuAnn Nigara on her show last week and there's a ton of info on there. It's a great introduction to the course! Catch the episode by listening below, or you can also find it on your favorite podcasting app. Finally, I want to invite you to tune into a FREE webinar I'm co-hosting with Sheilah MacSporran, the CEO of DesignFiles*, this Thursday! 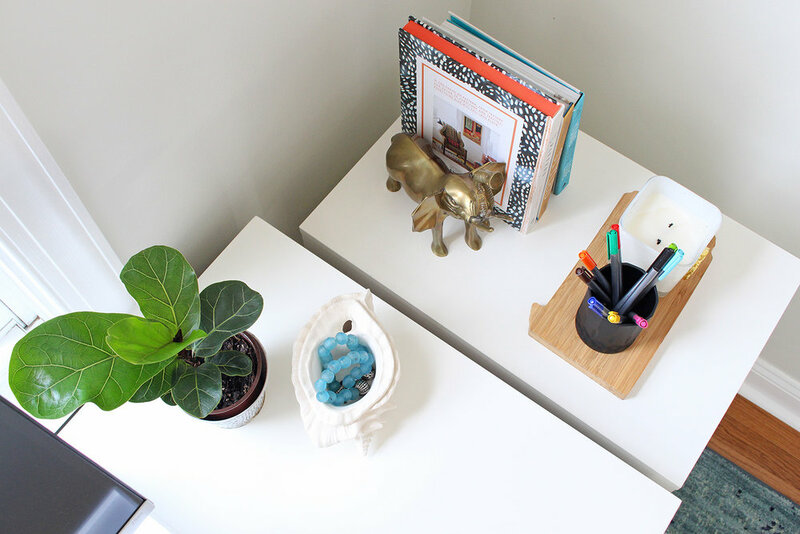 We'll be going into detail on the four major backend areas you need to focus on to set your online interior design business up for long-term success. If you could use some pointers on getting your business set up and ready to receive clients, then you'll definitely want to tune in. I'll be covering some key elements in four major areas: administration, business strategy, operations, and marketing. I can't wait to chat! If you have any questions about the course or the webinar, feel free to shoot me a note! I'd be happy to answer them! "How To Launch An E-Design Business" - Goes Live On February 5th! We're less than a week away from the release of my first online course, How To Launch An E-Design Business! I thought I'd devote today's blog post to sharing some more details about it since the last time I talked about it on this platform was way back in November. Time certainly does fly and so much has happened behind the scenes since I first talked about it publicly on LuAnn Nigara's A Well Designed Business podcast. In case this is your first time hearing about the course, let me start with a little bit of background on why I chose to dip my toe into the education side of things. Last summer, I started receiving a steady stream of inquiries from folks who had come across Mix & Match Design Company and wanted to know more about my business model, how to structure e-design services, and how they could take those pointers and apply them to their own businesses. While I was happy to chat with folks one-on-one, it quickly became apparent that I could help a lot more people if I created an online course that taught them about how to get started in this business and addressed their questions. Based on the conversations I had with folks, it became clear there just aren't enough resources out there that are targeted specifically toward starting an online interior design business. I believe that there is plenty of room for everybody in this e-designer niche, and I want to help people get started on the right foot. Being an entrepreneur is tough, and being one in a new(ish) industry makes it even harder. If I can use my experience and knowledge to help smooth the way, I'm all in. I've done all the hard work of strategizing, iterating, and going through trial and error so you don't have to! This course will provide an amazing foundation for you to get your virtual interior design business up and running quickly so you can start working with your ideal clients. Are you ready to begin your journey and start your own online interior design business? The main course material consists of approximately four hours of recorded video, an 18+ page workbook, and a resource guide. I'll be sharing some surprises bonuses as well - stay tuned for those! It will be hosted on an online learning platform and will be self-paced, so you can work through it on your own timeframe. You'll always have access to the course and if there are updates to it in the future, you'll receive those as well. If you'd like to read more details about what's in each of those modules, head on over to this page! And, because starting your own online business is more fun when you have the camaraderie of other folks just like you who are also starting their own businesses, when you enroll in the course, you'll have the opportunity to join a Facebook group reserved exclusively for those who are taking the course. I'll be there to answer your questions, offer advice, and cheer you on! Finally, let's talk about cost. The course will be offered for $495 as a one-time payment, and there will be a payment plan option as well. It's an investment, but well-worth it if you're ready to be your own boss, design a business to suit your lifestyle and career goals, and begin offering your e-design services to clients all over the country (and hey, maybe even around the world!). I'll be right there with you to guide you along every step of the way. Thank you! I can't wait to share this course with you!